MARK CHESNUT - XL - 90s. WU TANG CLAN - LARGE - ?. LOT OF 51 BAND AND CONCERT T SHIRTS. 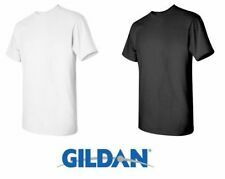 SHIRTS MAY HAVE STAINS, IMPERFECTIONS OR HOLES - SHIRTS HAVE NOT BEEN WASHED BY US. MY CHEMICAL ROMANCE - LARGE - ?. Material: High Quality Straw. Q'ty:25pcs. Founded since 2008 we are based in Nottingham United Kingdom. We will do our best to save your money. Latest Products. The photo is for reference only. 25kg X Superdry Mix Clothing Wholesale Job Lot Bundle. Condition is Used. Mostly Grade A but may find some Grade B also. Luxusproben Beauty-Paket 27 Teile hochwertig ( auch Originalgrößen)! Wir sind ein Rauch-, und Tierfreies Haushalt! Dior Diorskin Forever Make-up 032 wenig benutzt. Diorskin Perfect Mousse 033 30 ml wenig benutzt. Diorskin Forever & Ever Wear 30 ml wenig benutzt. Ich versuche so Korrekt wie möglich zu sein, erwarte dies auch nach Kauf von Ihnen. A mixture of seasons. The more lots you buy, the more generous we can be with allocations. GREAT WHOLESALE LOT! This lot includes every pair of shoes that are featured in the photos below. they are all. this lot weighs approx. Local pickup is not permitted. 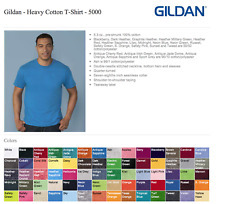 100 Blank Gildan Heavy Cotton T-Shirt Wholesale Bulk Lot ok to mix. COLOR ANY SIZES SMALL TO XL (WE HAVE SIZES 2XL TO 5XL AVAILABLE. Body Width 18 20 22 24 26 28. Body Length 28 29 30 31 32 33. 5.3 oz., pre-shrunk 100% cotton (Blackberry, Dark Heather, Heather Military Green, Heather Red, Heather Sapphire, Lilac, Midnight, Russet, Safety Green, Safety Orange, Sunset and Tweed are 50/50 cotton/polyester. ). Wholesale Lot 24 Juniors' Burnout Crew neck Tee Shirts Next Level Printed . ● 65% Polyester 35% Cotton ● Burnout Fabric● Next Level. However, mistakes and oversights can occur. 24 Pcs, 8 Of each color. Schönes Bekleidungspaket in der Größe 36/ 38. Alle Sachen befinden sich in einem guten gebrauchten Zustand. Keine Flecken oder Löcher... 2× Strickjacke 2× Kapuzenpullover 6× Tshirt 6× Longsleeve 7× Top 1× Kleid 1× weiße kurze Leinenhose Überwiegend Esprit & Edc aber auch Blind Date, C&A, H&M oder auch no Name Privatverkauf : Sehr geehrter Kunde, ich bin kein Händler, sondern nach BGB eine Privatperson und schließe hiermit die nach neuem EU-Recht vorgeschriebene Garantie und Umtauschrecht von einem Jahr auf alle hier angebotenen Produkte aus. Die Angaben über den angebotenen Artikel sind wahrheitsgemäß nach bestem Wissen und Gewissen gemacht worden. PER NOI VOI VALETE! PUNTIAMO AL 5⭐️. This lot of footwear is previously owned. Most of the shoes in the lot are in need of cleaning / rehab before individual resale. Wholesale Lot of Used Footwear. This lot includes every pair of shoes that are featured in the photos below. Kristy sneakers are an effortless way to refresh your wardrobe with a sport-luxe kick. Crafted from canvas with leather and raffia trim, this breezy pair promises to keep you carefree and chic season after season. N e w c a t And Jack g r a y t o p as pictured 60pc Lot 2 4pc 0 / 3 m 24pc 1 8 m & 12pc 6/9mg r e a t r e s a l e e a c h p i e c e M S R P 9. 9 9 a l l s e a l e d a n d t a g g e d.
A woven mini boho dress featuring a floral print, Low cut scoop neckline with tie, stretch waist, and a beautiful material. - Bust: 34" C. Color: Blue & Brown. Size: Extra Small. She is wearing a size Extra Small. Step into the spring with our Sloggers® Rain & Garden Shoes. Step into the spring with our Sloggers� Rain & Garden Shoes. Pansy print. Rain and garden. Print won't fade or rub off. CHANGING OR CANCELING YOUR ORDER. 50 Piece Wholesale Bulk Lot of Mixed Clothing for Resale BRAND NEW OVERSTOCK. Box of 18"x18"x18" packed full. Condition is New. (Non è possibile inserire più foto ma i prodotti del lotto sono tutti recenti, nuovi e con un prezzo di rivendita congruo con quanto asserito poco sopra. es calze e intimo). Su richiesta spediamo in modalità Fermo Deposito SDA / BRT senza alcun sovrapprezzo. This lot of footwear is previously owned. Most of the shoes in the lot are in need of cleaning / rehab before individual resale. Wholesale Lot of Used Nike Footwear. This lot includes every pair of shoes that are featured in the photos below. Mango Oberteil. 10 teiliges Kleiderpaket mit. H&M Leo Bluse. H&M Kleid. Benetton Strickjacke. Rich & Royal Lederimitat Leggings. Hallhuber Pullover. Zara Strickpullover. 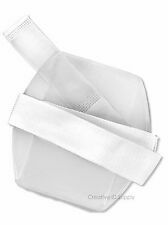 100 T-SHIRTS WHITE BLANK WHOLESALE BULK LOT SMLXL NEW.